Batteries: Combined 'A' (LT, 9V) and 'B' (HT, 90V) battery pack (eg: EverReady 753, Burgess F6A60, Rayovac AB994 etc). 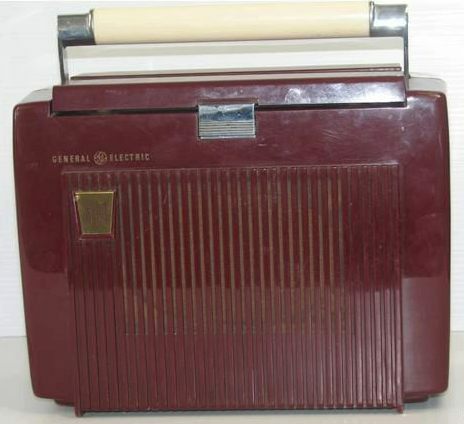 The GE Radio Model 614 is a pleasant looking, albeit rather boxy, set in a dark maroon plastic - it was also availiable in green as Model 615. 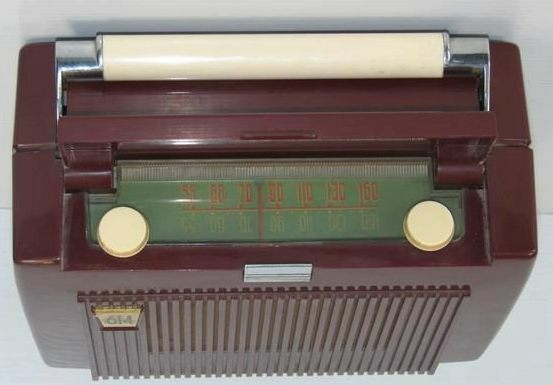 It is a little cumbersome but has a fair sized speaker and, presumably, could run for a good length of time on the larger batteries of the day.